Please contact us if you would like to come meet Brady, or would like any more information. 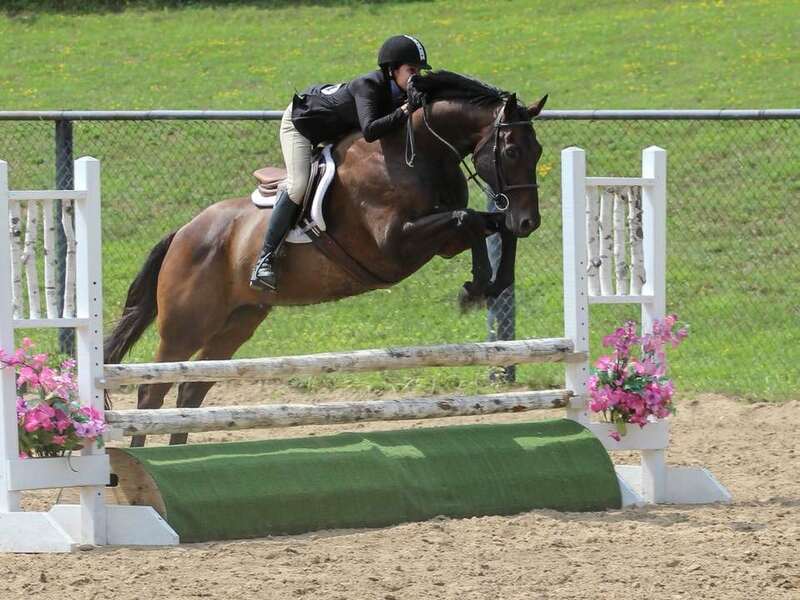 This very-talented gelding is offered for full or part lease at Offshore Acres for a rider looking for an athletic Dressage mount, or a flashy horse to work on the flat. In the past, Brady has competed in the hunter and jumper divisions, and even won Thoroughbred High Point, but his talents have been recognized in the dressage discipline and we would like to pursue this avenue with him at this stage of his career. Brady is very flashy, upward and forward mover. He is exceptionally athletic, responsive and smart, so we are confident his dressage training will come nicely for him. He is well broke on the flat, has a great lead change, an amazing trot, and a personality that loves to work. Brady is for an advanced rider, as he can keep even the best of us on our toes! He has a comical personality, and is the clown of the barn. Brady has had just three dressage lessons and impressed his trainer from the start. We are looking forward to more lessons and having him compete in dressage in 2019. For more details on Brady, you can visit his bio on, Our Horses Page.